An average of 6,000 people leave the private health insurance market every month and Fianna Fáil said there is little incentive for young people to take it on. 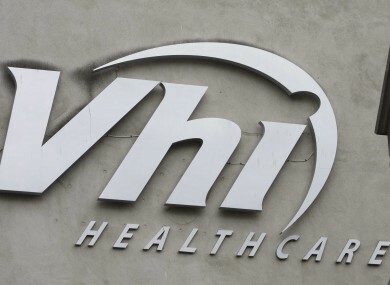 FIANNA FÁIL will this week table a motion encouraging the government to use its position as a shareholder in VHI to negotiate a reduction in consultant fees. The Private Members motion asks that the government note the “ongoing and persistent increase in the cost of private health insurance”. An average of 6,000 consumers leave the private health insurance market every month and Fianna Fáil said there is “little incentive for younger people” to invest in it. “The haemorrhage of younger, healthier policy holders is threatening the sustainability of the private insurance market by generating further upward pressure on health insurance premiums for those who remain and many of those who remain have downgraded their level of cover,” it said. The party called on the government to “use its position and purchasing power as a VHI shareholder to negotiate a reduction in consultant fees”. It also asked that it allows public hospitals to negotiate with health insurers and revise the legal definition of non-advanced plans so that the 300,000 holders of lower level plans will not face a substantial rise in their health levy. The Private Members motion will be debated on Tuesday. Email “Government urged to use VHI shareholding to negotiate consultant fee reduction”. Feedback on “Government urged to use VHI shareholding to negotiate consultant fee reduction”.